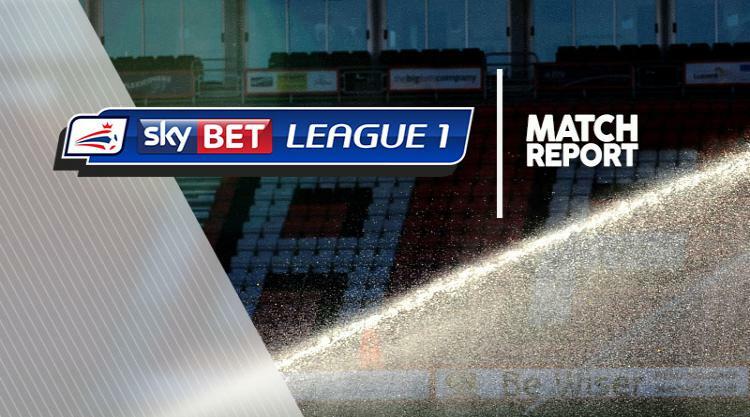 Chris Long scored twice as Northampton and new boss Jimmy Floyd Hasselbaink claimed their second Sky Bet League One in the space of three days, beating Portsmouth 3-1 at Sixfields. Burnley loanee Long and Matt Crooks fired the Cobblers 2-0 up inside 32 minutes, but Pompey raised their game in the second half. Matt Kennedy fired the south coast side back into it in the 49th minute, and although they went on to create several more chances, it was Long who made it 3-1 with 20 minutes remaining. Northampton named an unchanged team from Saturday's 1-0 win over Doncaster, while Portsmouth made one change, Conor Chaplin coming in to lead the attacking line for the injured Ollie Hawkins. After a scrappy start in wet and windy conditions, Northampton took the lead on 18 minutes, when Long raced on to a Shaun McWilliams through ball and slipped the ball past Pompey goalkeeper Luke McGee, who was slow off his line. Town doubled their advantage on 32 minutes, with Crooks glancing Matt Grimes's inswinging free-kick from the right wing, the ball deflecting in off Pompey defender Matt Clarke. The visitors pressed and probed, and twice almost reduced the arrears. Cobblers defender Ash Taylor headed a Jamal Lowe cross against his own post, while just before the break goalkeeper Matt Ingram tipped Pompey midfielder Stuart O'Keefe's long-range effort over. Pompey did pull a goal back on 49 minutes, Kennedy firing home from 18 yards, and they created other chances but failed to take them. In the 70th minute Northampton sealed the win, Long thrashing home his second at the far post following a Brendan Moloney cross.